AV integration and set technology experts specialize in designing, installing, integrating and maintaining state of the art video walls, video arrays and other in-studio screens and displays. These experts can connect TV stations with the best flatscreens, LED panels and other hardware as well as the software necessary to drive dynamic and interactive graphics to them. AV integrators also provide a full range of installation and integration as well as maintenance and update services. Rely on the expertise of these integrators to create professional grade and reliable video wall installations for your next project. AV Design Services is a full service Broadcast AV integration company staffed entirely by experienced AV systems engineers. AVDS regularly teams with the industry’s best designers and fabricators and works independently supplying our clients the best video display solutions available. Please visit our website at www.avds.tv. Neoti is a U.S. based LED display manufacturer and service center headquartered in the Midwest. Neoti offers a wide variety of LED display products, featuring our seamless UHD fine pixel pitch Series from 0.9 to 2.5mm with front-service, cableless installation, and superior black levels. Neoti’s expert sales, installation, and service staff will help transform your studio or environment while providing quality, personal support. Largest inventory of fine pixel pitch batch-matched panels. Proven camera-ready broadcast quality displays. Centrally-located LED service and repair center. Sales and rental solutions available. Digital Video Group, Inc. is an industry-leading solution provider of broadcast and production systems. DVG represents the leading manufacturers in the broadcast and television industry including Avid, Grass Valley, Sony, NEC, Panasonic, Vitec, TVOne, Evertz and Ross just to name a few. From complete station build out to monitor walls and on set video technologies our trained staff offers years of experience to help you with your next project. Our services include system design and consulting, integration services, commissioning, support, and training. Our technicians are factory certified and trained by manufactures to the same standards as their support staff. Advanced Videowall Group, formerly APG Displays, is a full service AV design and broadcast integrator. Specializing in videowalls, large-format displays and video processors from leading manufacturers Leyard/Planar, Prysm, Christie, NEC, LG, Sharp, Orion, Christie, TVOne and Green Hippo/Aviary. 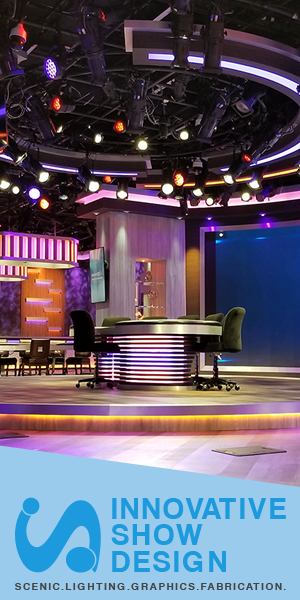 Advanced frequently partners with leading set designers and fabricators to create stunning studio environments. Leading provider of innovative technical solutions. Fully bonded and licensed systems integration firm, serving post production, broadcast, IT and corporate facilities worldwide.